The Centre is staffed with a receptionist and 2 full-time critical care nurses, on call 24 hours a day. A doctor is available for appointments on Tuesdays and Thursdays. The Centre has an emergency department, lab services Wednesdays and Fridays from 9-10:00 a.m., Diabetic Clinic once a year, home Registered Nurse care, public health services and immunizations. Two counsellors come in each month to the Centre to offer counseling for grief, drug and alcohol addiction, conflicts, family issues, and mental health issues. (CSILP) Homecare Services are supplied by referral from your doctor for clients who are capable of managing their self-care contract. Services are provided through the CSILP in Campbell River. 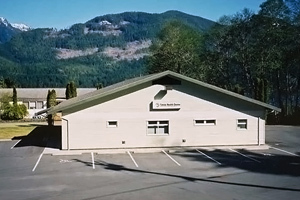 The Village of Tahsis has worked to create a disabled-friendly community and all municipal facilities and most businesses in Tahsis are wheelchair accessible.